The Tactical Weapon Series products are engineered specifically for use with tactical style firearms and designed to handle the most demanding task that one face in tactical situations. 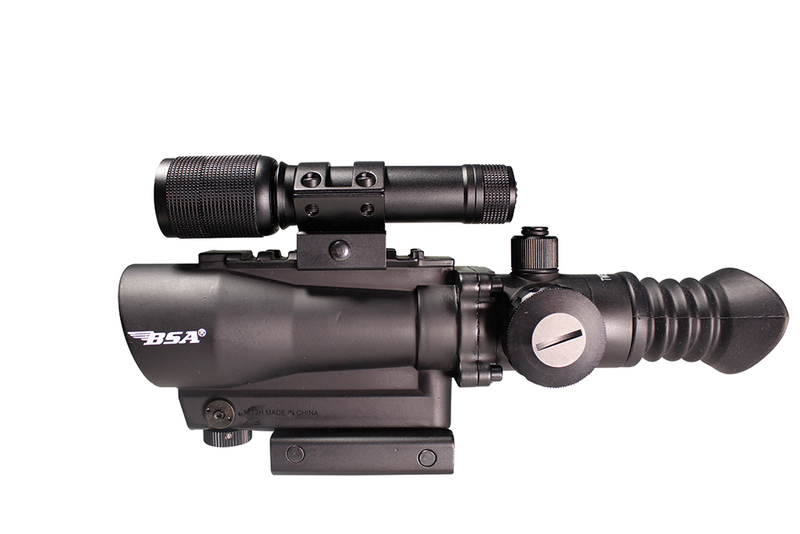 For optimal accuracy, the TW30RDL red dot scope is equipped with an integrated 650 nm red laser sight, easy One-Piece mount and rubber eye guard. Model comes with attachable 140 Lumen LED flashlight.